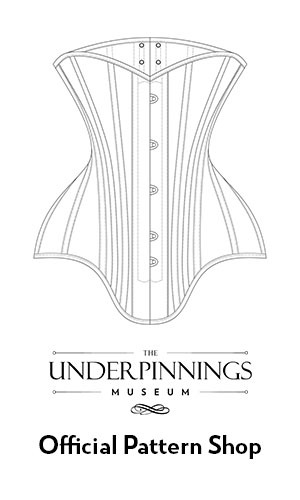 The Underpinnings Museum is now on Patreon! Pledge just $2 monthly to help keep this website free to access. Remaking The Past showcases the work from our 2017 collaborative project with LCF’s MA Pattern & Garment Technology students, who were set the challenge of replicating their choice of objects from the museum’s collections. Each garment replica is accompanied by detailed technical drawings and garment pattern, offering a fascinating insight into the complexity of underwear design and construction through the 20th century.